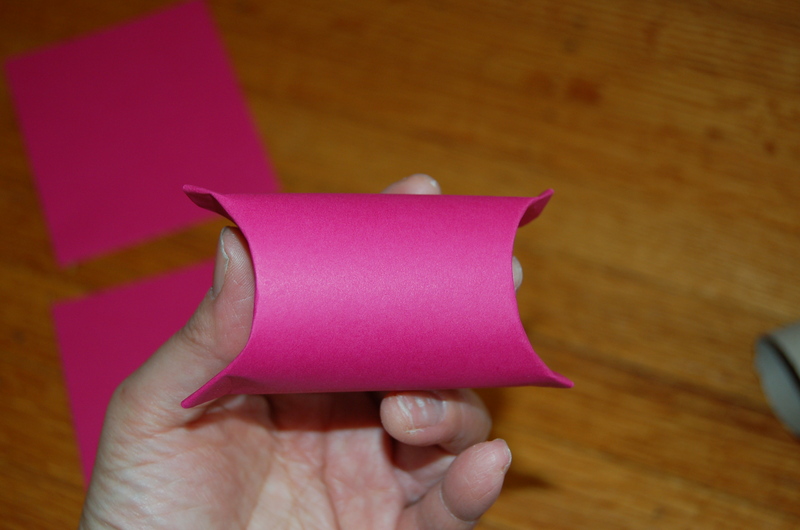 Continuing on from where we left off regarding toilet paper roll crafts, after making a pen holder, my son O and I sat, trying to think of other things we could make with our many toilet paper rolls. I told him that I wanted to do something Valentine’s themed, so that I could post it on my blog in preparation for Valentine’s Day. We came up with the idea to make the TP rolls into little treat holders/cards for him to give to his classmates on Valentine’s Day. Every year he comes home with lots of sweets from Valentine’s cards, so I try to avoid giving candies. Last year O begged me for a Rainbow loom, which we got a week before Valentine’s day, so he and I ended up making several rainbow loom bracelets every night for a week 😛 It was fun and a great way to spend some time together, but I tell you… I didn’t want to see that rainbow loom for a while afterwards! Because we didn’t actually have 24 toilet paper rolls left to use, we used one toilet paper roll to help make the holders out of card paper. 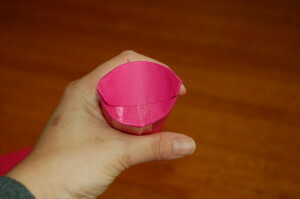 They are super simple to make and can be decorated in a variety of ways. 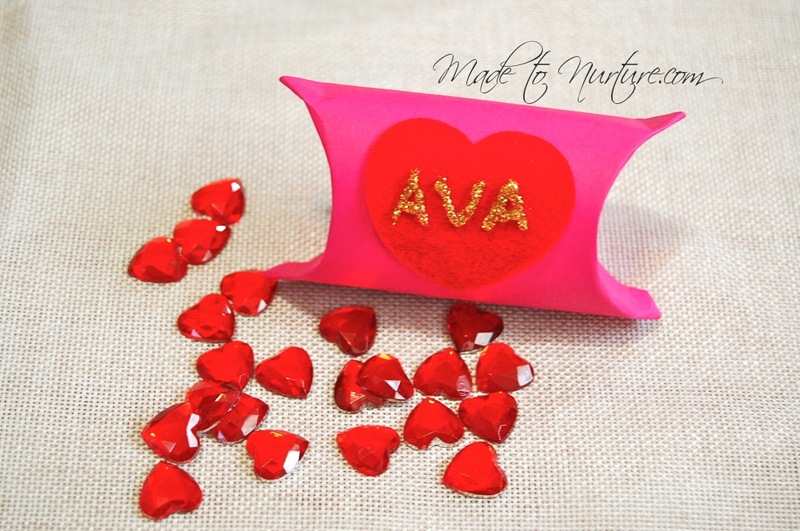 We ended up putting in some cute erasers and a simple hand made heart card, but you can put anything in them, like stickers, candies, party favours, etc. 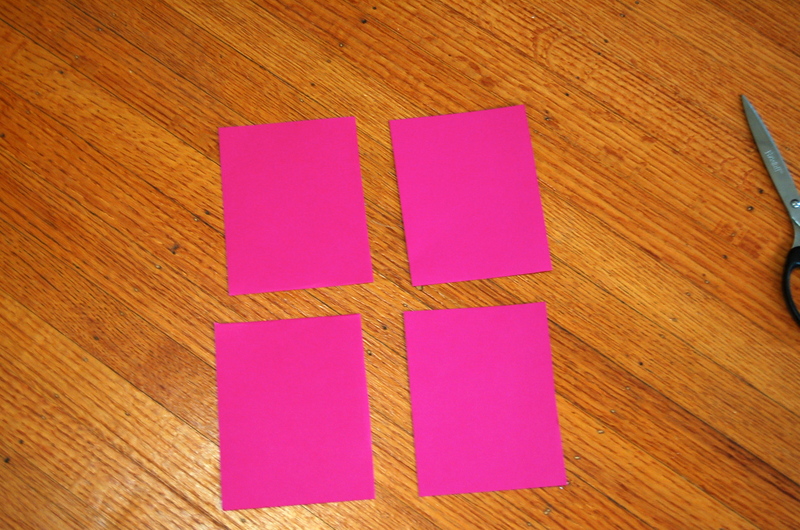 1) Cut an 8 1/2 x 11 piece of card paper into four equal pieces. 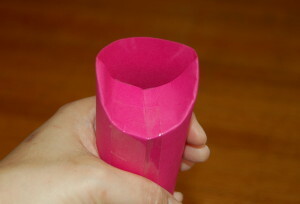 2) Fold one piece around a toilet paper roll tube, leaving a bit of one end of the tp roll sticking out. Tape and slide tp roll out. 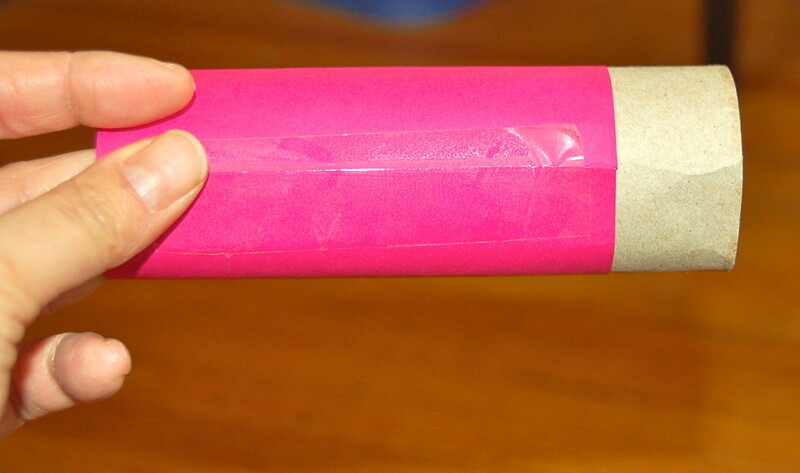 3) Put tape so that it folds onto inside of tube (to be sure the ends of the card paper are taped securely). 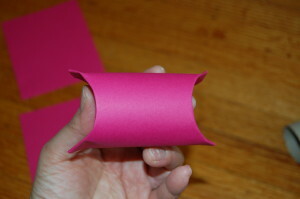 4) Fold the ends of the tube. 5) Put “treat” in the tube and decorate. Come back soon to see what we made next! 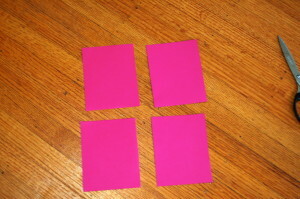 This entry was posted in Arts and crafts, Valentine's Day. too cute! kids love stuff like this! This is a great idea. My son wanted to make something for his girl friend. Thanks for your comment! It makes a great personalized gift box for small trinkets, perfect to put something special in for his girl friend. That’s very cute and simple to make, which is even better. I bet even my daughter would be able to handle this. cute idea. It just so happens that we have two rolls of toilet paper and nothing to do today. Thanks for the idea!